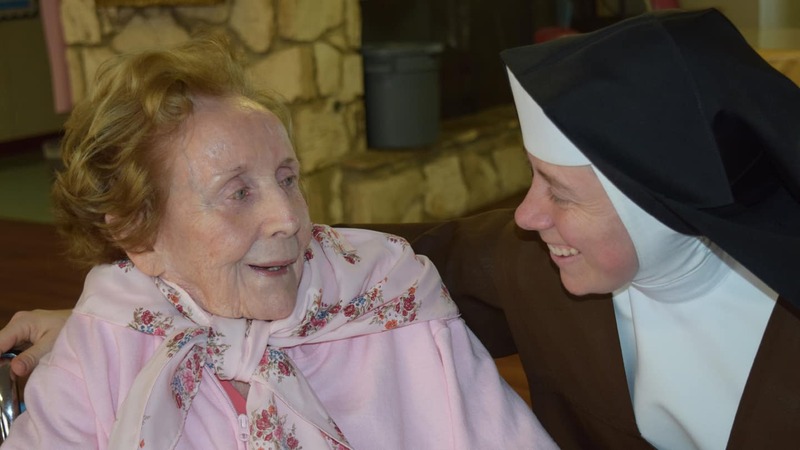 The Carmelite Sisters lovingly provided our mother, Maria, with compassionate medical and spiritual care while at Marycrest Manor. The Sisters and their excellently trained medical staff directly tended to Maria hourly, assessing her medical needs, praying with her and for her, and comforting her during her debilitating and terminal neuro-degenerative disease. Most importantly, the environment provided Maria with dignity and the opportunity to meaningfully connect with others during her challenging journey. A touch of the hand, a small prayer during the day or in passing – it is the small things that can make a great difference in a patients’ day. My family took great comfort in and was greatly comforted by, the quality of medical care our mother received at Marycrest Manor. Marycrest Manor has been a godsend for my mother and our family. God was obviously scouting the best facility in Los Angeles for my Mom, who accidentally landed at Marycrest after falling down and breaking her hip at age 88. Doctors at another rehab facility deemed my Mom a “failure to thrive,” and sent her home in hospice unable to walk and in a state of dementia. But my Mom staged a miraculous recovery thanks to the sisters and loving caregivers at Marycrest. Though she still suffers from dementia and has never regained her ability to walk, our Mom is still with us, which is what matters the most! We are so grateful for the loving care of her many Marycrest caregivers, who treat my Mom with such dignity and respect. Our family is so thankful to the Carmelite Sisters for allowing my mother to live out her remaining years in peace at beautiful Marycrest, surrounded by the grace of the Lord and the sisters.